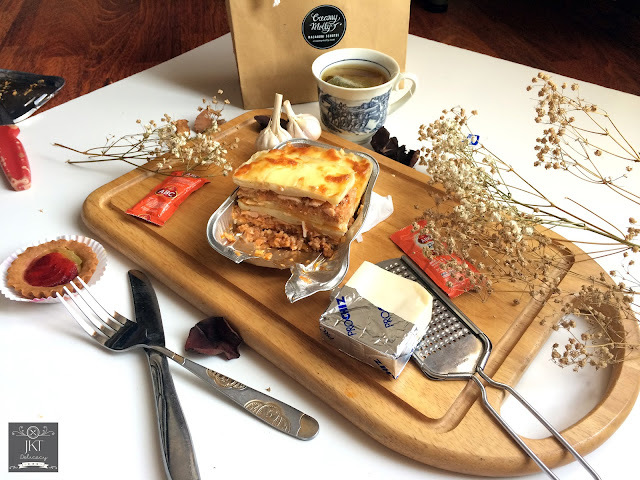 [PRODUCT REVIEW] Finally, my favorite Lasagna has arrived in this blog! This is my second blog review of Creamy Molly pasta lines, after my first review of Macaroni Schotel last month. I love any families of pasta product: Spaghetti, Fettuccine, Angle Hair, Farfalle you name it (Except Gnocchi). And, Lasagna is included on the lists. Basically, those products are using the same basic ingredients which is Flour. 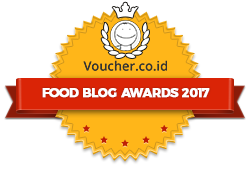 You can find pasta dishes on almost modern restaurants nowadays, because it is simpler to cook and the ingredients are actually basic. It is just the method of cooking that matters. 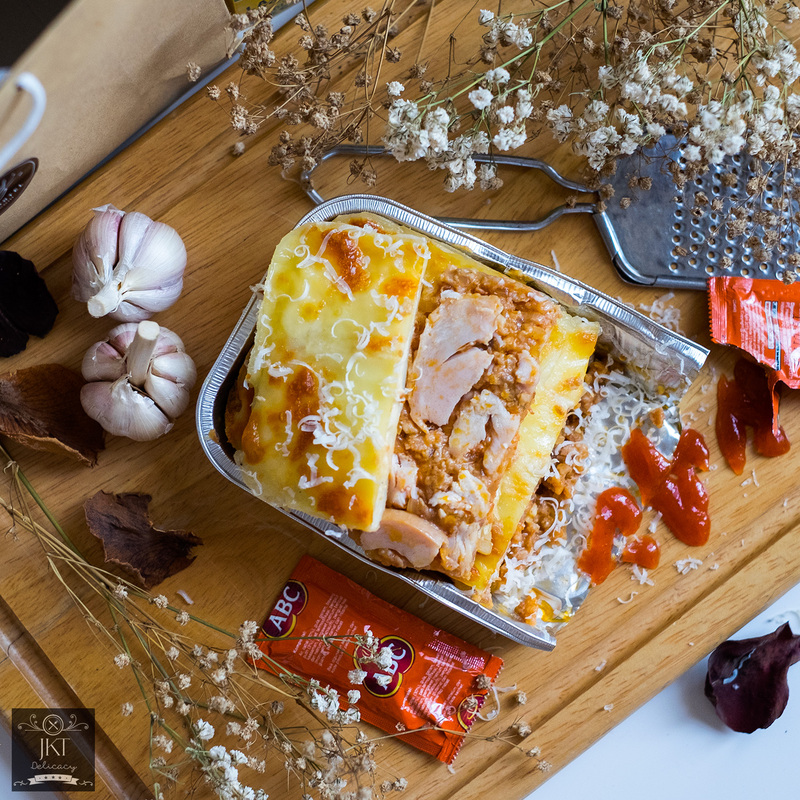 This Lasagna by Creamy Molly was one example of simple food that you can have anytime. 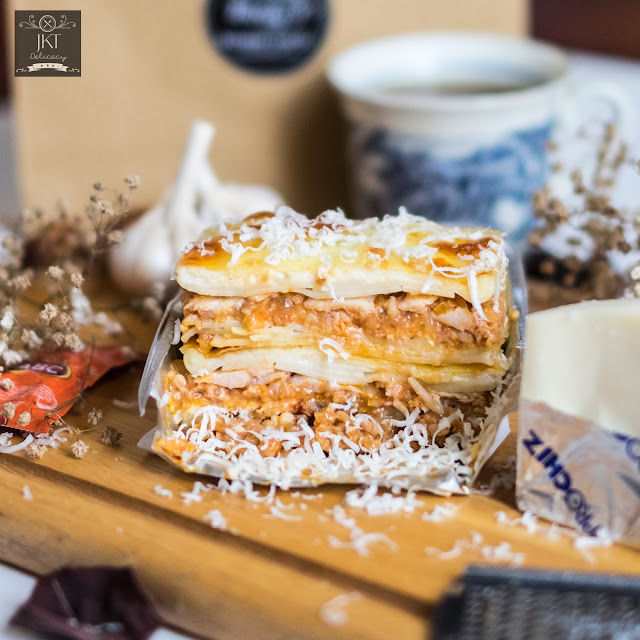 It consists of layers of pasta with Minced Chicken or Beef and Mozzarella Cheese on top. I love the creaminess of the fillings in the middle, including the tomato based sauce. 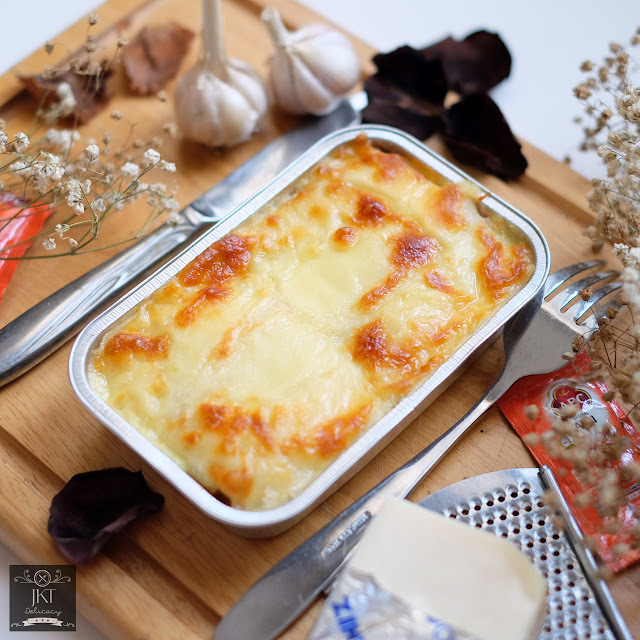 Especially having it fresh out of the oven, when you spoon it, you can feel the minced chicken / beef together with the cheese. 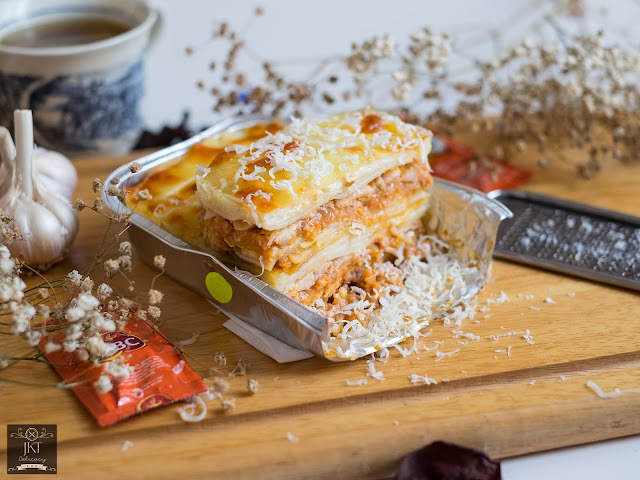 What differenciate between Creamy Molly and any other Lasagna in the market is that Creamy Molly put some real big chunks of chicken in it, so not only the minced one. When you look at the size, you realize it is small. 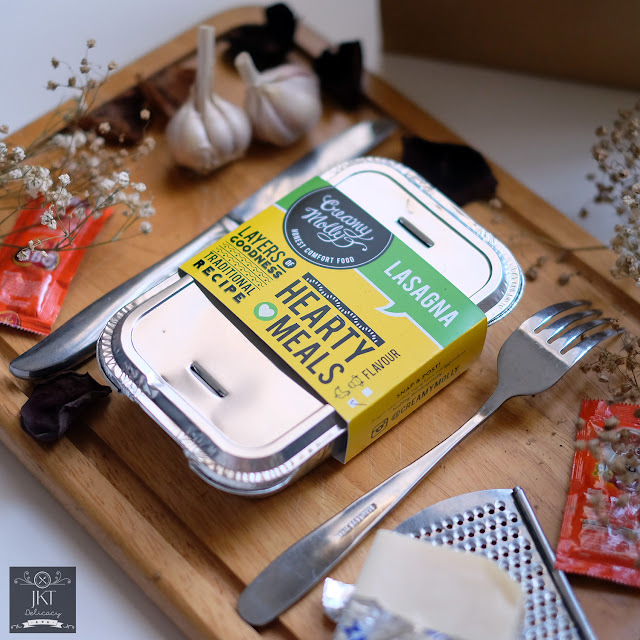 But since it is fully packed with pasta and protein, you're not gonna say that it is small! Because one is good for a lunch or dinner. 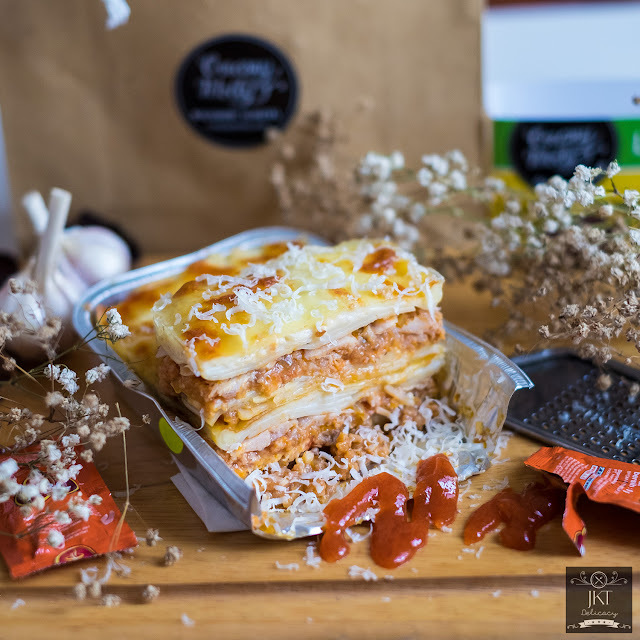 Creamy Molly offers delivery within Jakarta and Tangerang area, with some periodical promotions that you can check on their Instagram account.